Our beautiful 95-acre Lancaster Campus along Lincoln Highway East, Lancaster, serves students in grades 6-12. High school students have the opportunity to take more than 150 courses and programs, including AP courses, honors courses, courses for college credit and many electives. Lancaster Mennonite Middle School students (grades 6-8) are excited about learning in small intimate classes taught by an outstanding team of specialized teachers. We offer over 150 courses, including 24 Advanced Placement, college-level and Honors courses to support the students’ individual abilities, interests and goals. Our outstanding Blazer athletic program offers a wide range of indoor and outdoor sports that compete in the highly-respected Lancaster-Lebanon League. We provide students with opportunities that cultivate and showcase creativity and self-expression while challenging them to a deeper understanding of God's world. When traditionally independent disciplines are fused, students are engaged in relevant, vibrant and experiential learning that empowers them to make connections across disciplines and in the real world. Grade 6 provides a gradual transition from elementary school to middle school. 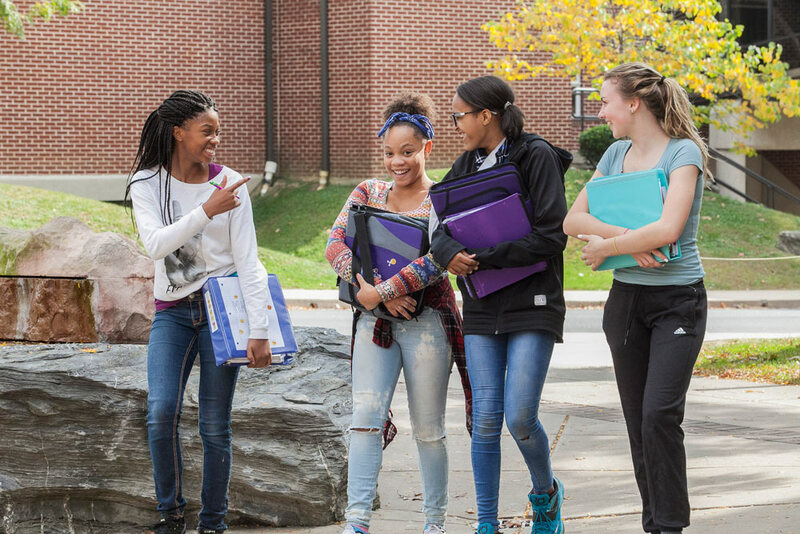 As one of the top boarding schools in this region, LMH offers a great opportunity for students to prepare for the increased independence and responsibility of college life, and to share their own unique background and experiences with others. Many international students feel that the LMH boarding program was among the most significant parts of their US education.